Today I'm sharing week 37. This was the week I went to Scrapfest so there are a few pictures from that event and a few everyday kind of moments too. 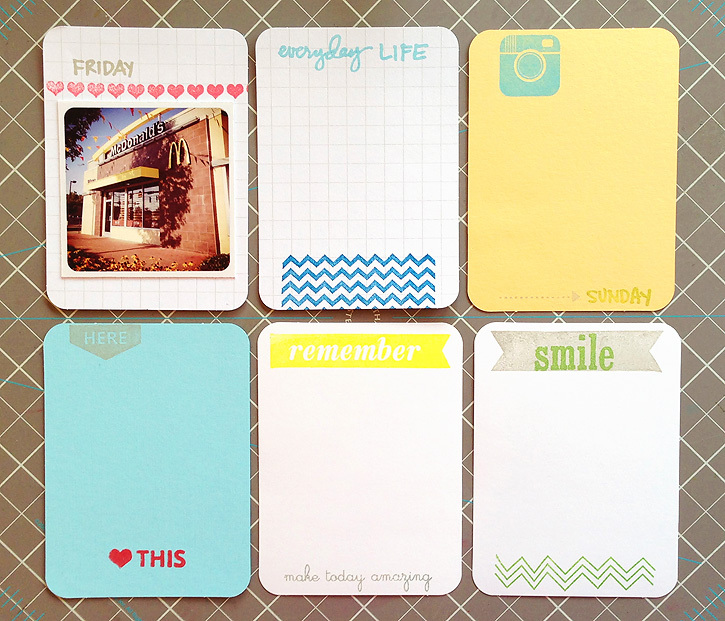 I used some of the journaling cards I made with the new Project Life plain cards that now come in colors and white. They are so fun! I will be making more soon. Your PL pages are amazing! Now that is a lot of scrappers! Love the picture of Maisy walking Mason! 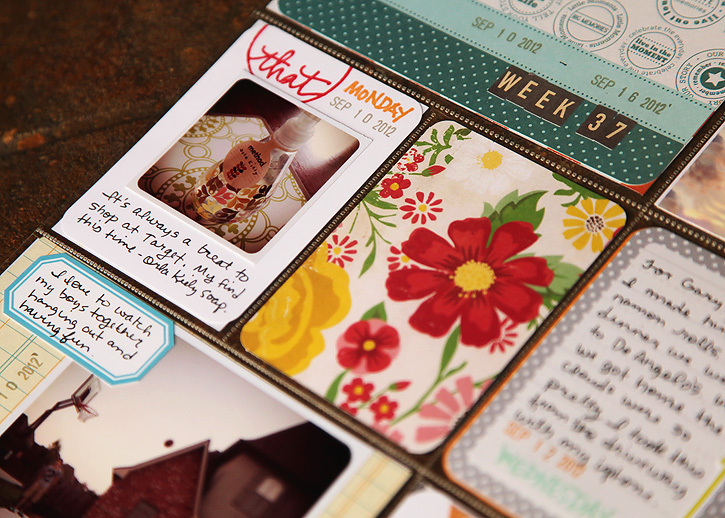 I really like your journaling cards and always enjoy your weekly PLs. 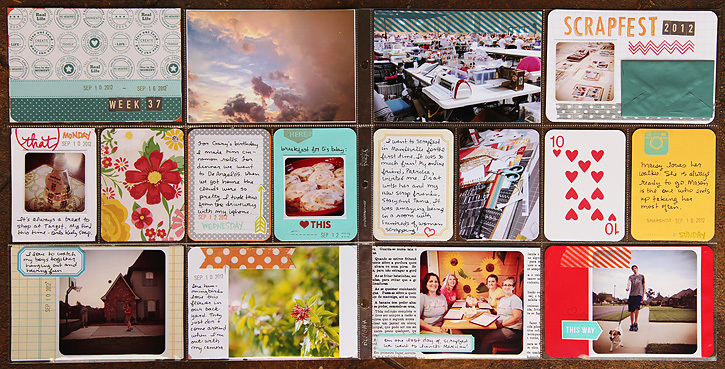 I love all of the journal cards you made, do adorable! Love these Deb - you're so creative. Fun cards ! Those cinnamon rolls look yummy and I can't believe that photo of scrapfest Wow. 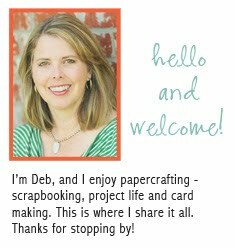 Love your PL pages Deb. Love it. Great colors. Awesome job keeping up on PL too! awesome pages!!! I love the colors! 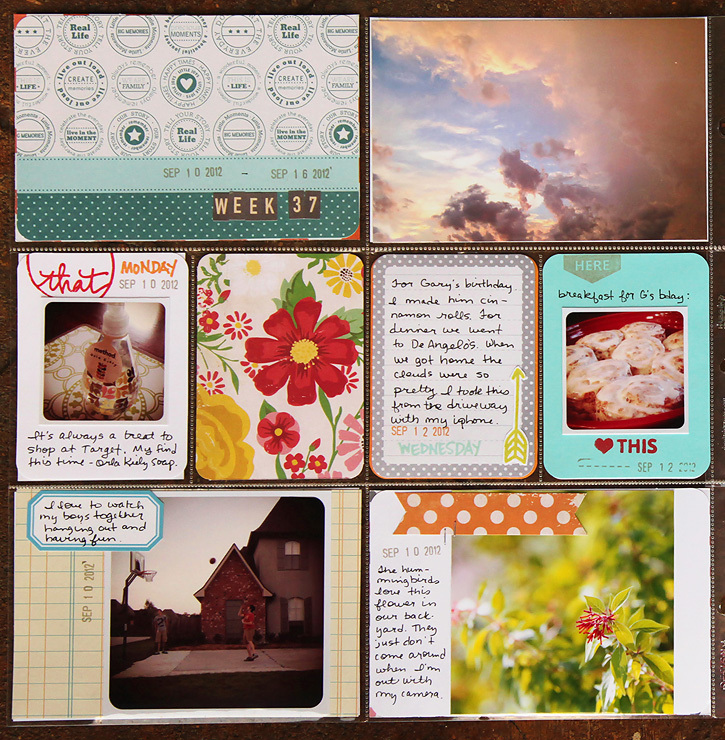 i love those journaling cards!! i am going to have to pick up some of those stamps! they are awesome! Thank you Sammy! The stamps are so much fun- my favorite part of scrapbooking! Great pages. Look at that Scrapfest! WOW- hope it was fun. Cute picture or your son walking the dog. I need to get one like that of mine. Love the clouds too--such pretty colors. These are such fabulous pages! I love how you included the 10 of hearts card. Such a cool idea! 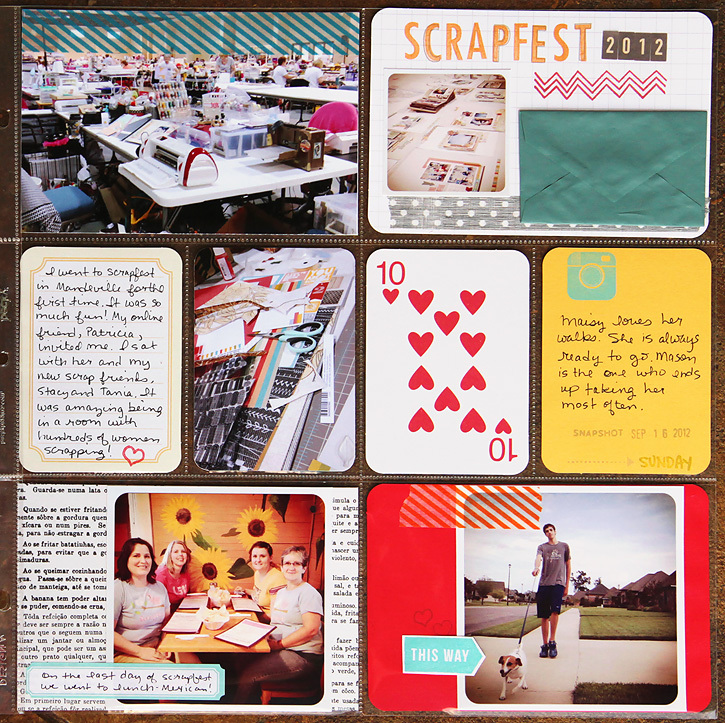 Yay, for Scrapfest! I got my week done too. This is gorgeous! 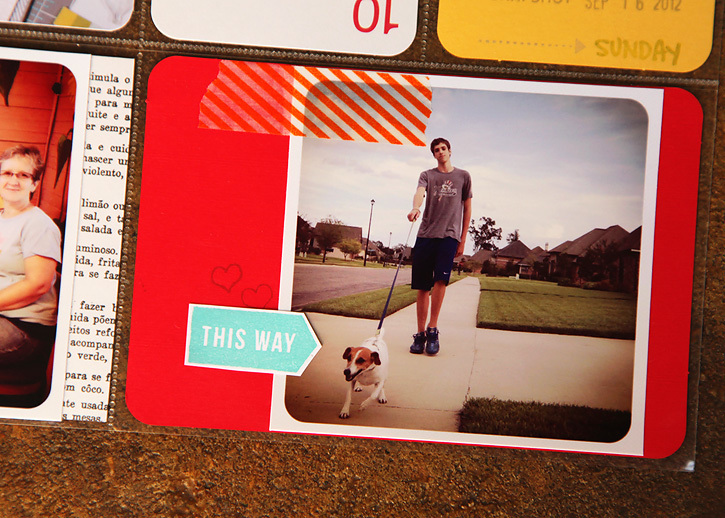 Love the colors, the photography, and the stamping! Oh and the new cards. You would be proud of me, I did more stamping on my last two weeks! 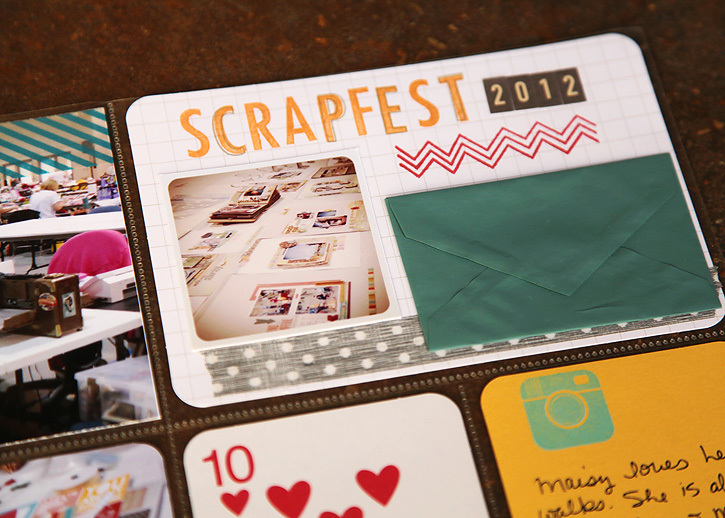 Scrapfest sounds like a blast. 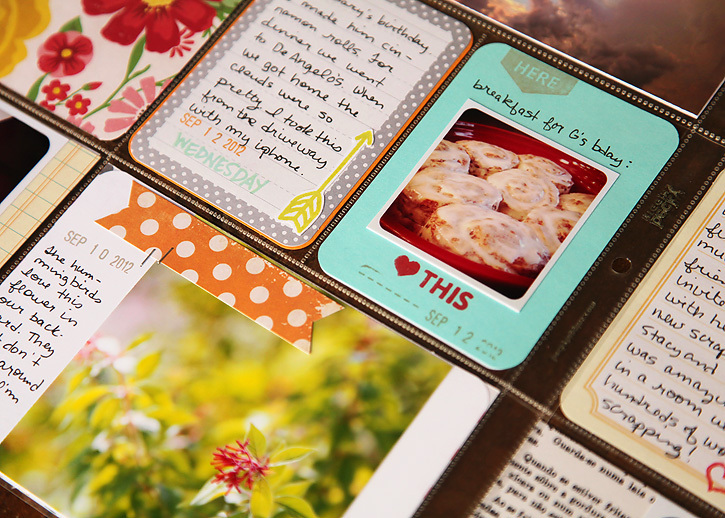 I love the journal cards you made. Those are fantastic!